Britain’s best-selling commercial vehicle, the Ford Transit Custom, is on display at the 2018 Commercial Vehicle Show, delivering a bold new design, an all-new interior and enhanced productivity to European businesses. The new Transit Custom builds on the success of the outgoing model, which instantly became the top-selling van in its segment. 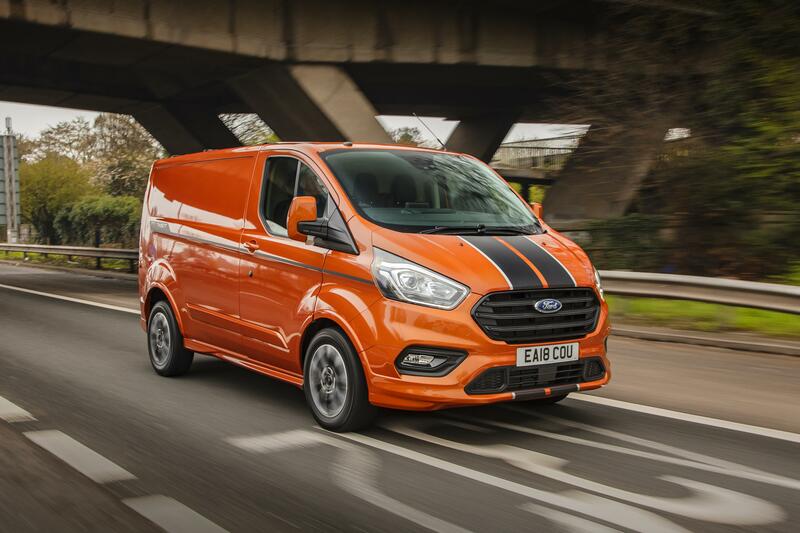 More than 200,000 Transit Custom vehicles have been sold since it was launched in 2013, and contributed towards a record CV sales year of 123,958 in 2017 in the UK. More than 55,000 Transit Custom vehicles were sold last year, and more than 15,000 have been sold in 2018 year-to-date. Sporting a bold new front-end design with three-bar Transit grille, Ford’s one-tonne van provides drivers with the ideal mobile office environment, featuring a completely new cabin that offers best-in-class stowage, improved comfort and ergonomics, and easy connectivity with SYNC 3 or MyFord Dock options. Further technologies introduced to commercial vehicles for the first time include Intelligent Speed Assist. The new generation Transit Custom sets the scene for Ford’s next major commercial vehicle innovation, with the introduction of the zero-emission capable Plug-in Hybrid (PHEV) derivative scheduled to begin volume production in 2019. The Transit Custom PHEV utilises an advanced hybrid system that targets a zero-emission range exceeding 30 miles, and features the multi-award-winning Ford EcoBoost 1.0-litre petrol engine as a range extender. The hybrid electric van will begin trials with fleet customers in London from December this year. Introduced in late 2012, Transit Custom was the first of Ford’s expanded all-new Transit line-up to go on sale – later joined by the Transit Courier, Transit Connect and Transit models – and was a key driver in Ford becoming Europe’s No. 1 commercial vehicle brand in 2015, a leading position it has held ever since. Transit has also been the best-selling commercial vehicle in Britain since it was introduced in 1965. 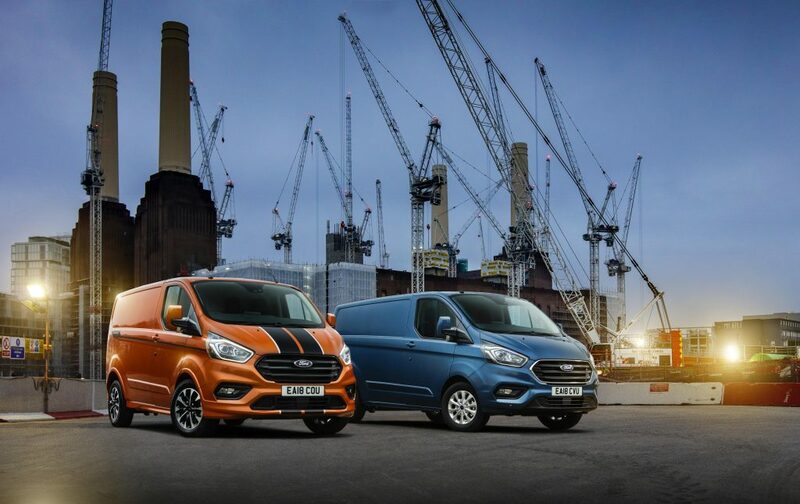 Ford announced in August an increase in production capacity for Transit, Transit Custom and Tourneo Custom models to satisfy growing customer demand. The $52 million investment at the Ford Otosan joint venture in Turkey will expand production at the Kocaeli manufacturing site by 40,000 units to 330,000 vehicles per year. The new Transit Custom is powered by the state-of-the-art Ford EcoBlue diesel engine that was introduced to the range during 2016. With a choice of 105PS, 130PS and 170PS power ratings, the advanced new engine delivers significant cost of ownership and performance benefits compared to the previous 2.2-litre diesel, with fuel-efficiency improved by up to 13 per cent and low-end torque enhanced by 20 per cent. The updated model also offers a new ECOnetic variant that delivers 148g/km CO2 emissions and return a combined 49.6mpg, a further 6 per cent improvement over the most efficient current vehicle. Available for the 300 Series short wheelbase van, the ECOnetic variant features the 105 PS engine with a unique calibration and Auto-Stop-Start, low rolling resistance tyres, Ford’s innovative Acceleration Control feature, and a fixed 62mph speed limiter. The new Transit Custom continues to offer commercial vehicle operators the same outstanding breadth of capabilities from a vehicle line-up that includes two roof heights, two wheelbase options, a gross vehicle mass range from 2.6 tonnes to 3.4 tonnes offering payloads up to 1450kg, and bodystyles including van, kombi and double-cab-in-van. The new model maintains the Transit reputation for delivering class-leading load-carrying ability, with innovative loadspace features such as the load-through hatch in the bulkhead for extra-long items, and the integrated roof rack that can be folded away when not in use. New Transit Custom has a dynamic and professional new front-end appearance that shares the same design DNA as Ford’s latest passenger cars, with a high-mounted trapezoidal grille and dynamic, slim headlamps. The latest lighting technologies are available, with high series models featuring distinctive new signature LED daytime running lights and powerful HID Xenon headlamps. Based around strong horizontal design elements that emphasise the width of the cabin, the new instrument panel features attractive and hard-wearing materials, and is packed with practical touches designed for drivers who treat the cabin like a mobile office during long working hours in their vehicle. The new design provides class-leading interior stowage, with up to 25 litres of space offered in the instrument panel alone, including three convenient open bins on its upper surface with space for clipboards or mobile devices, and generous glove box stowage capable of storing hanging A4 files in the lower closed compartment. Further new practical features include a fold-out cup holder beneath the gear lever, adding to the cup holders and 2-litre bottle holders at each end of the instrument panel. The door panels have also been completely redesigned for improved stowage and usability, with three large stowage spaces and a practical new grab handle integrated with the decorative door trim. For the driver, all-new displays and control panels have been designed for enhanced ergonomics and ease of use, and high-series models feature a floating, tablet-inspired eight-inch colour touchscreen with Ford’s SYNC 3 communications and entertainment system that can be operated with pinch and swipe gestures. SYNC 3 enables drivers to control audio, navigation and connected smartphones using simple, conversational voice commands. By pushing a button and saying “I need fuel”, “I need a coffee”, or “find an address”, drivers can locate nearby fuel stations, cafés, or the location of their next job. The system is also compatible with Apple CarPlay and Android Auto™. For vehicles not equipped with eight-inch or four-inch displays, the MyFord Dock in the centre of the instrument panel provides the ideal location for drivers to mount, store and charge their smartphone, MP3 player or satellite navigation system. USB and 12-volt power sockets are located in the upper stowage bin in front of the driver, and alongside the gear lever, for easy device charging. New seat designs feature revised foam padding and geometry for optimised support, while trim materials have been completely renewed throughout the cabin, with a focus on outstanding quality, durability and appearance. The new Transit Custom introduces a range of advanced new driver assistance features that share technologies found on Ford’s latest passenger cars, and utilise sophisticated sensors, radars and cameras to provide information about the driving environment around the vehicle. New Transit Custom is the first commercial vehicle to offer Intelligent Speed Assist, a feature that could help prevent drivers from exceeding speed limits, and potentially from incurring costly speeding penalties. The system enables automatic adjustment of maximum vehicle speed to remain within legal limits, using the Traffic Sign Recognition system to detect speed limit signs. Drivers activate Intelligent Speed Assist via steering wheel controls to set a maximum vehicle speed. The system uses a windscreen-mounted camera to monitor road signs and, when the speed limit is lower than that maximum set speed, slows the vehicle as required. The new model is the first Ford van in Europe to offer Ford’s Blind Spot Information System with Cross Traffic Alert, which provides two key functions for commercial vehicle users. The Blind Spot Information System uses rear-facing radar sensors to detect when passing vehicles may have entered or are approaching the blind spot zone, and alerts the driver with a warning light in the corresponding door mirror. The Transit Custom introduces a new Variable Rear Range feature, which provides drivers with an earlier warning if it detects that the passing vehicle is approaching with a higher closing speed. The new model also has the latest generation sensors, with increased range and improved capabilities that include the ability to detect motorcycles. Cross Traffic Alert uses the same sensors to warn drivers reversing out of a parking space of vehicles or bicycles that may soon be crossing behind them, alerting them with an audible warning, a message in the instrument cluster, and a warning light in the door mirror. Activated when drivers select reverse gear, the system is ideal for vans that often have restricted visibility to the rear and sides when exiting a parking space. New Transit Custom also brings enhanced capabilities to the Pre-Collision Assist with Pedestrian Detection emergency braking system introduced to the model in 2016. Equipped with the latest radar and camera technologies as fitted to the all-new Fiesta passenger car, the system is now even capable of detecting pedestrians at night when they are illuminated by the vehicle’s headlamps. These new features add to the comprehensive suite of technologies already available for Transit Custom, including Lane Keeping Alert, Driver Alert, Auto High Beam, Rear View Camera, Adaptive Cruise Control and Side Wind Stabilisation. The latest specification also introduces a six-speed SelectShift automatic transmission – already chosen by 11 per cent of Transit Custom customers – and a unique-to-segment rear air suspension system on Kombi M1 models that delivers a supple, controlled and level ride across a wide range of load conditions. Customers can also specify a new Upfitter Interface Module, which allows aftermarket conversions and accessories to access data from the vehicle’s electrical systems, so that they can be operated and controlled more efficiently using real-time vehicle data. The new Transit Custom range is headed by the dynamic 170PS Sport series, available in a wide choice of eight different body and seating options including van, kombi and double-cab-in-van models in both short and long wheelbase versions. The Sport’s signature twin bonnet stripes and exterior body kit have been redesigned for the new model, including distinctive new two-tone stripes in black with orange or silver accents, and comes with 17-inch alloy wheels. The sporting style continues inside the cabin with partial leather Ebony interior trim that combines striking new embossed fabric inserts and leather bolsters.